Post-injury, or just for fun, more people are opting for recumbent bikes and other types of adult trikes. With sweat beading on a hot August morning, Howard Quinn of Catonsville, Maryland, paced the pavement at Mt. Airy Bicycles in suburban Carroll County, studying recumbent tricycles that he and his grandson, Freddy, could share. After neck surgery, Quinn tires quickly on a bike, and the boy has trouble balancing on a two-wheeler. “It’s in first gear,” Tom Hill told Freddy, situating him on a seven-gear Delta model priced at $1,399. “Here’s your hand brake.” He sounded like a salesman, but Hill, 61, of Damascus, doesn’t work at the shop. He’s a customer — a frequent customer, having bought three trikes in nine years after undergoing back surgery. “I like this better. My back doesn’t hurt; my upper body isn’t tired from having to control the bike,” Hill said. Customer Lynn Carr, 70, a former bike rider and runner, is less enthusiastic. “You really can’t get the same level of aggressive riding as you can on a two-wheeler, just simply because on a two-wheeler you can stand up on the pedals and really get after it,” he said. “Here, you’re sitting.” But riding a trike enables the Mount Airy resident to stay active after two hip replacements and three back surgeries. Carr rides more than 100 miles a week. Trikes for adults aren’t new, but they’re finding a larger fan base among recreational and more serious cyclists. 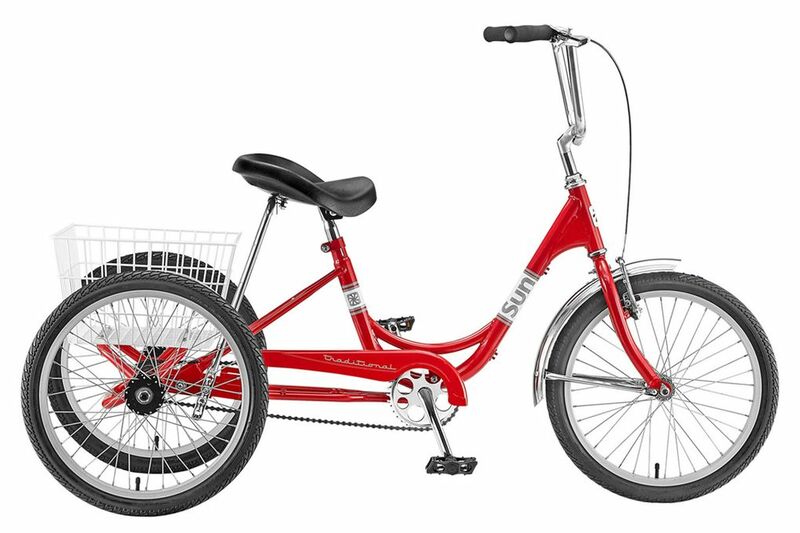 Sleeker, more aerodynamic, lower-to-the-ground designs are a far cry from the traditional “granny trikes,” with three 26-inch wheels, high seats and large baskets in the back (though those are still around). No group seems to keep statistics on the niche market that is adult tricycles. But shop owners and manufacturers say they are seeing an increase in sales. 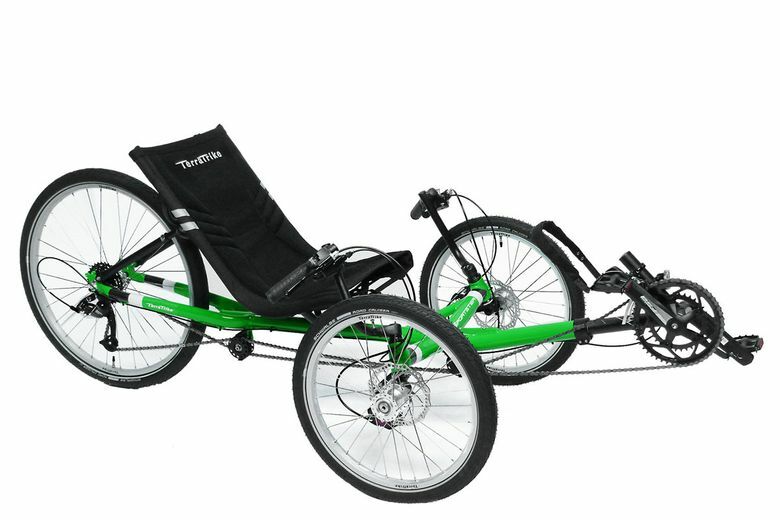 For example, TerraTrike, which has been making adult trikes since 1996, has seen at least 10 percent growth — and as much as 40 percent — each year. And three trike brands — Catrike, Sun Bicycles and TerraTrike — were represented last year on the National Bicycle Dealers Association’s list of the top 40 bike brands that specialty bike shops sell. 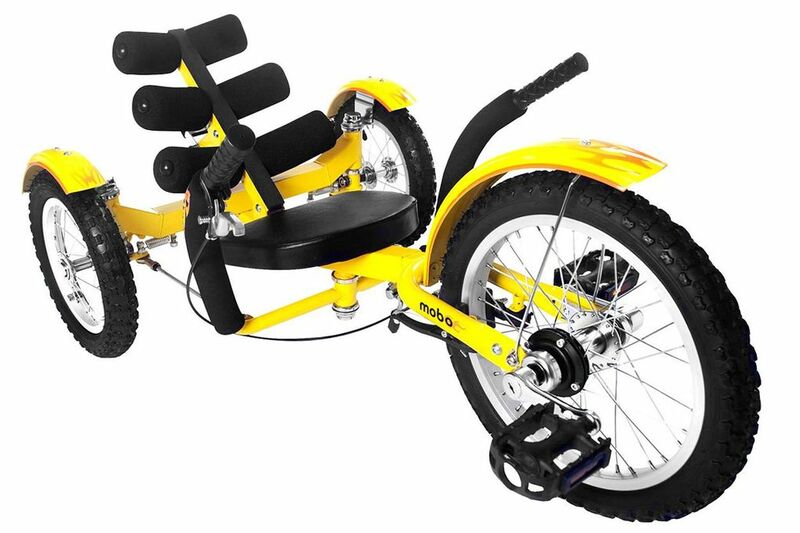 Trikes for adults come in a variety of models and styles. Some are made for speed, some have more upright seats for riders who don’t want to lean back, and some aren’t quite so low to the ground, to make it easier to get on and off. They range widely in price, including one-speed classic uprights with a basket for about $400, and 30-speed recumbents with aluminum frames for around $4,000. 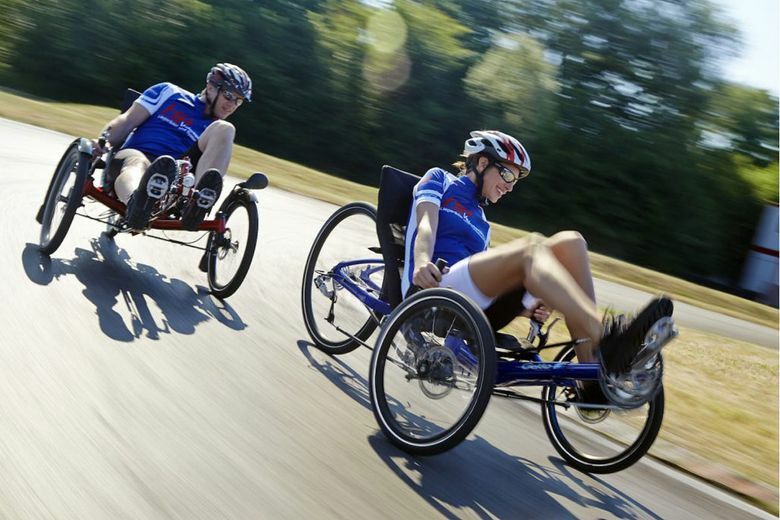 Recumbent cycles have a lower center of gravity than upright ones, which makes them more stable and comfortable, said Jeff Yonker, marketing director at Michigan-based TerraTrike. At Black’s two stores, recumbent trikes are outselling recumbent two-wheelers about 10 to 1, and they’re outselling upright trikes at about the same rate. Upright trikes aren’t extinct, however, and offer great utility in some settings. Sosin, of Worksman Cycles, which has been making adult trikes since its founding in 1898, said one of its main markets for heavy-duty uprights is industrial facilities. “If you walk into a Ford Motor Company, or the Pentagon, for that matter, you’ll see workers riding around on real heavy-duty tricycles — not really consumer-appropriate, but more for rugged commercial use,” Sosin said. On roads, tricyclists, like bicyclists, must follow traffic laws. They also must follow local bike regulations on helmet and light or reflector use. Trikes also can share bike lanes. When Quinn returned from his test ride in Mount Airy, he was beaming. “This is fantastic. This is something that we could both do,” he said, thinking of his grandson. A few weeks later, he returned to the shop and bought a recumbent trike.